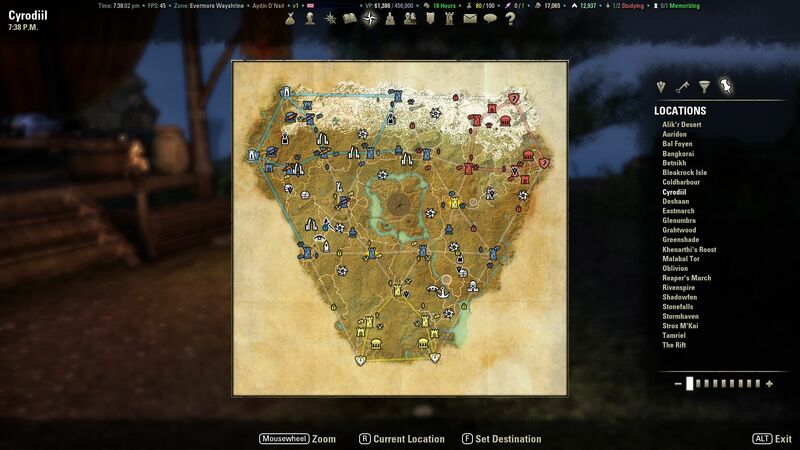 It’s been a few weeks now since we took the decision to move from the Wabbajack Campaiagn to the Bloodthorn Campaign. 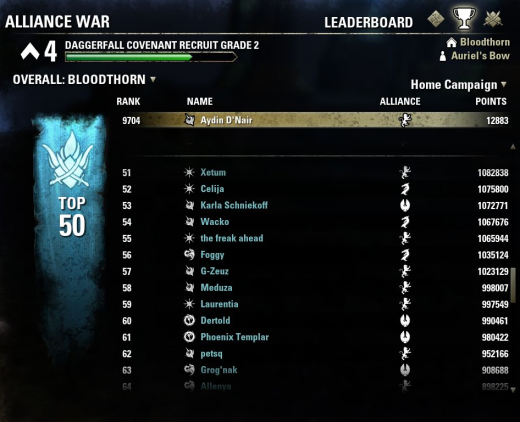 For those who remember, Wabbajack was a bit of a zergfest with Ebonheart Pact dominating and while Lux Arcana showed it could take on our enemies (See the news article from 7th April), the sheer numbers and the after hours raiding of keeps by Ebonheart meant that there wasn’t much enjoyment to be had. So we made our new home on Bloodthorn. Since then we have seen a more balanced fight. It is true at times that Daggerfall Covenant does have the upper hand in this campaign but our enemies have taken the fight to us and we have seen keeps change hands several times. 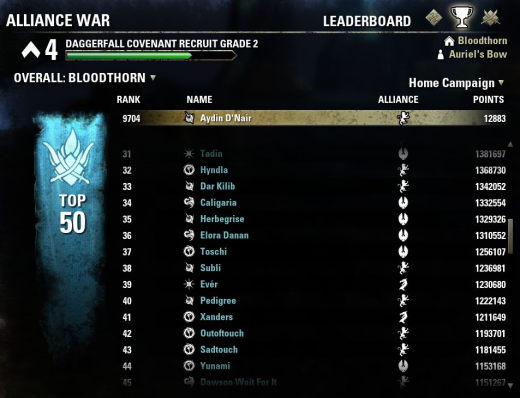 Considering that we have only been on Bloodthorn for a few weeks Lux Arcana has shown that it is a force to be reckoned with and this is borne out by two of our members, Subli and G-Zeuz getting into the top 50 and top 100 respectively. Well done guys I’m sure that your numbers will keep rising. I am also confident that as we all start hitting those veteran levels more members will be added to the list.